Since I already tackled my favorite Southern California hikes I figured I should expand to the best day hikes in all of California. The criteria I used for selecting these hikes were as follows. Does it provide something unique? Does it have a view that is hard to rival? Is it able to be accomplished in one 24 hour period for most people? After narrowing down all the backpacking trips and hikes that were just not “epic enough” I have come up with the below list; one that I am sure will continue to expand. Let me know what I left off in the comments, and I hope this shows you some new hikes to explore. 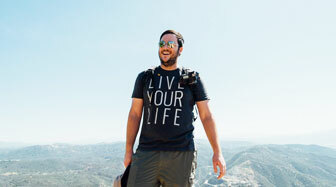 These hikes are compiled from easiest to hardest on my own personal scale. 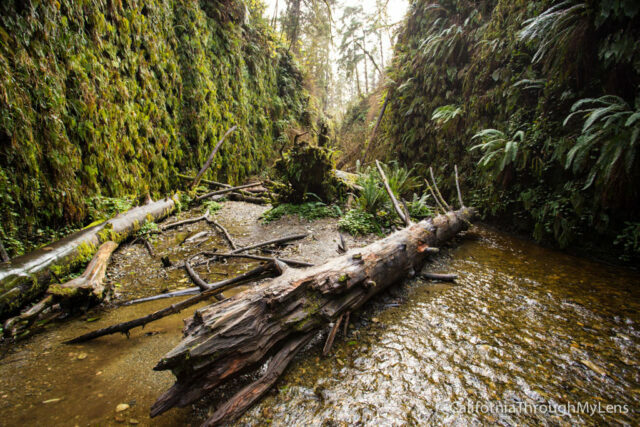 The hardest thing about Fern Canyon is just getting there on the drive. Depending on the time of year you visit you may have to cross over a few small water crossings. When you get to the parking lot, the hike itself is short and utterly amazing. Every turn of the canyon holds better views than the last. Make sure it is on your list! 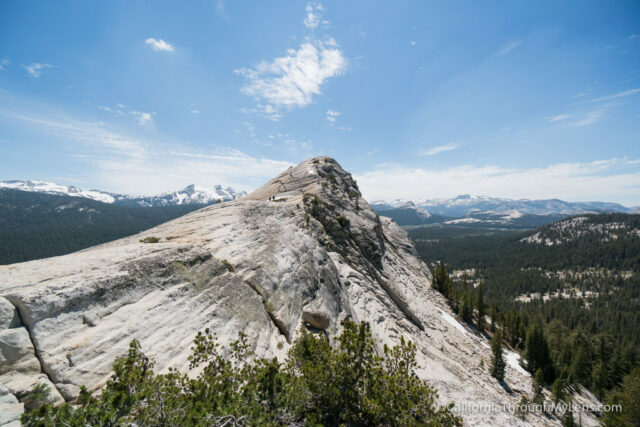 Lembert Dome is the easiest of the Yosemite National Park granite domes to climb, and the payoff at the top is truly epic. The views over Tuolumne Meadows are not something you are soon to forget, especially on a hike that clocks in at around 3 miles. 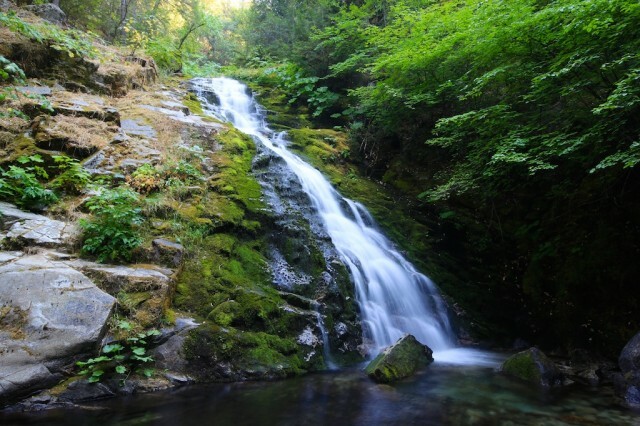 Located 45 minutes outside of Redding, this hike is a short 3 miles, but it does have a lot of up and down, which makes you pay for the beautiful waterfall that rewards you at the end. 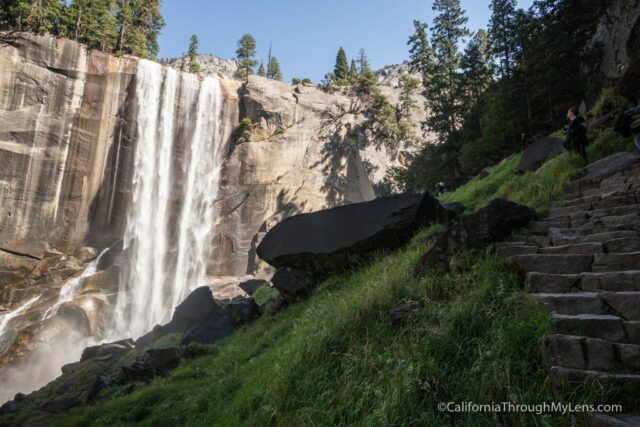 I have seen a lot of waterfalls in California, but this is one of my favorites. Simply for the way the greens and browns bring out the beauty of the area. A fantastic hike and a waterfall I could sit at all day. 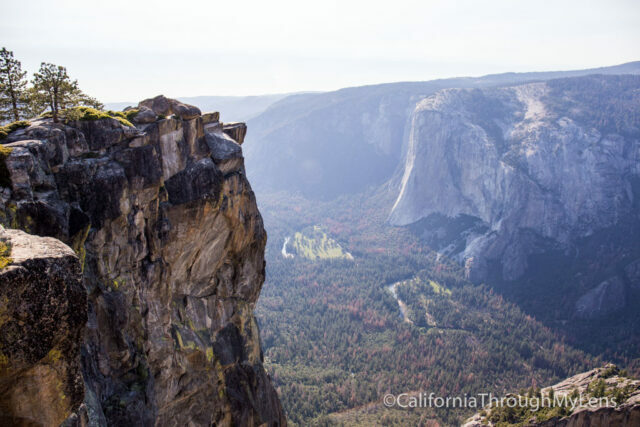 When visiting Yosemite, take the drive up to Glacier Point Road and hike either Taft Point or Sentinal Dome. Both are about 2 miles round trip each, and they both have fantastic views down into the valley. 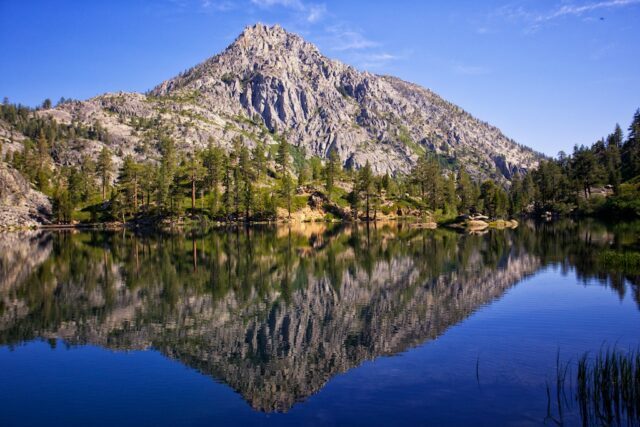 The trail starts right across the street from one of my favorite state parks in California, Emerald Bay. It climbs well-worn rock stairs till you see Eagle Falls, then it continues to rise for the next mile and a half before you get to Eagle Lake. The west side of this lake has one of the best views I have ever seen. You can see it above and if that doesn’t make you want to go on this hike, then nothing will. At around 4 miles and 1,500 feet of elevation, this trail starts out easy as it meanders through the woods then ends with a climb up to a beautiful vista point of the Big Sur coastline. 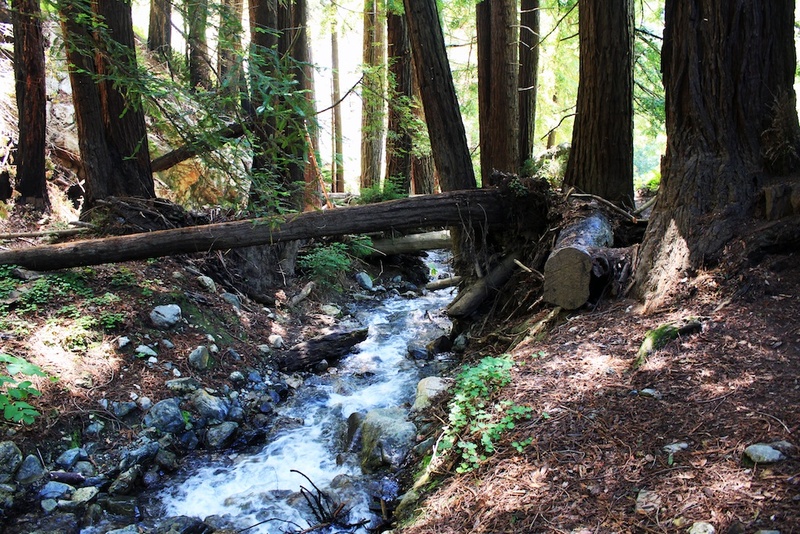 Honestly, I could pick a ton of hikes in Big Sur, but I feel this one gives a great picture of what Big Sur offers as a whole, waterfalls, forest and amazing views. This hike is not very long, only 3-4 miles round trip, but that does not mean it is easy. I almost gave up the first time I came out here since the hike itself is unforgiving as you walk through sand to make your way to the summit. 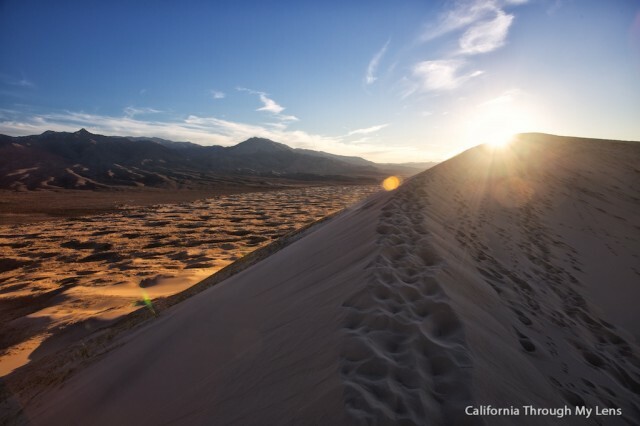 That being said it is one of the best places in California to watch the sunset and one of the most massive dunes in the entire state. One of the more recent hikes I have done, the Sierra Buttes Fire Lookout is truly amazing. At 6 miles round trip and about 2000 feet of elevation, this is not an easy hike, but it is a rewarding one. 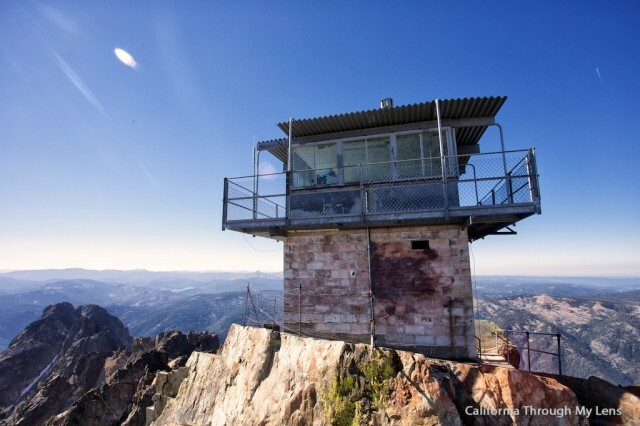 Once you get to the crazy stairs that bring you up to the fire lookout and see the views, you will be amazed it took you so long to put this hike on your list. While it is part of the Half Dome Trail I talk about later in this post, The Mist Trail is fantastic on its own. You can hike just to the top of Vernal Falls in 3 miles, or you can go all the way to the top of Nevada Falls which I recommend in about 7 miles. It is one of those trails you will not forget. 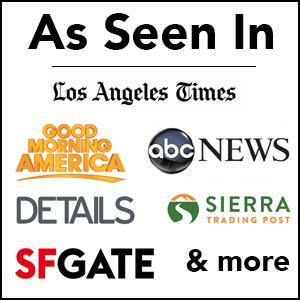 Along the southwest shore of Lake Tahoe, the Rubicon Trail goes from Emerald Bay State Park to DL Bliss State Park. It is a 5-mile trail if you shuttle and a 10-mile trail if you don’t, but the views are epic along the water the entire time. This ten-mile hike in Southern California crosses over streams, past raspberry bushes, and over hills to reach a massive bridge that was built for a wiped out road. 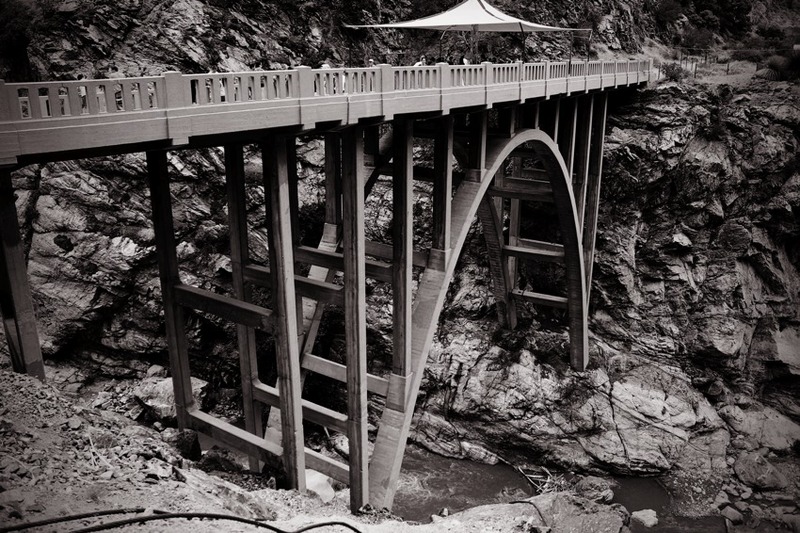 When you get all the way to the end, you will also see that people bungee jump off this bridge. It is a great hike to do in the summer (not during a drought) as there are many opportunities to cool off and swim in the water. 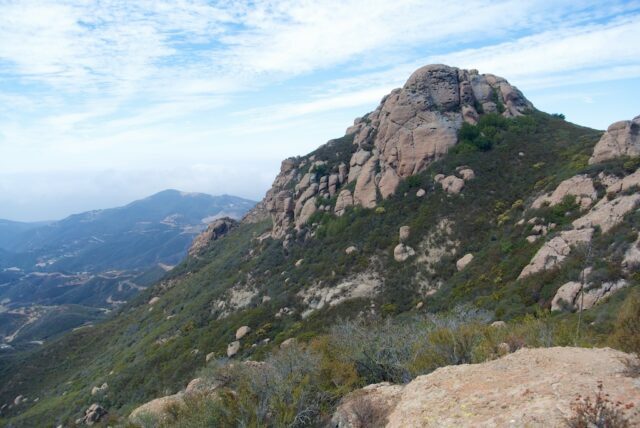 At right around 7 miles round trip the hike to Sandstone Peak is a rewarding one. This trail leaves the foothills and heads up into the Malibu mountains before it winds its way back down through foliage and past massive granite rocks. Along the way, there are countless views of the ocean and coastline below as well. 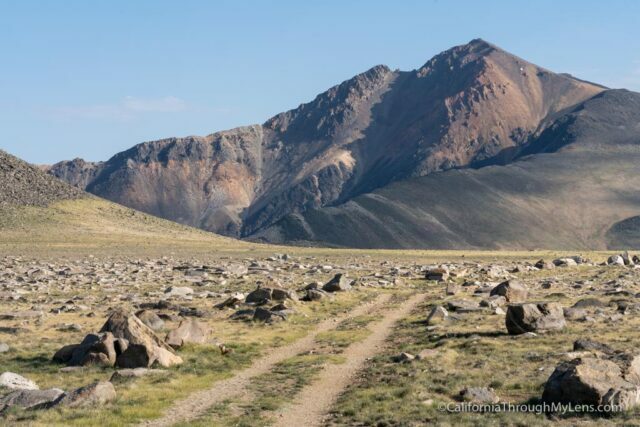 Of course, you can drive up to the top of this mountain if you would like, but you can also hike it from the campground below in an 8 mile and 3,000-foot climb. Many people say this is one of the places in California where you can see the most land from a single viewpoint. There is a debate about whether or not that is true, but I can tell you the views are fantastic. 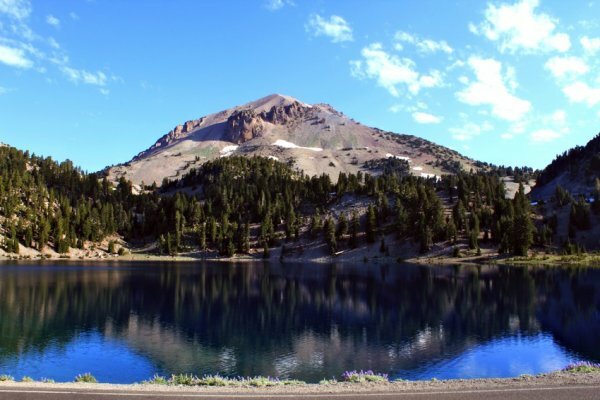 One of my favorite summits in all of California, Lassen Peak is a 6-mile round trip slog up to the 10,000-foot summit. It is only about 2,000 feet of elevation gain, but because it starts at 8,000 feet, it can be a pretty slow going hike if you are not used to the elevation. Located near one of the most majestic peaks in California, Mt Shasta, Castle Crags State Park is an excellent place for a hike. At 6 miles round trip, this hike goes up from the very beginning and is a leg workout the entire way. 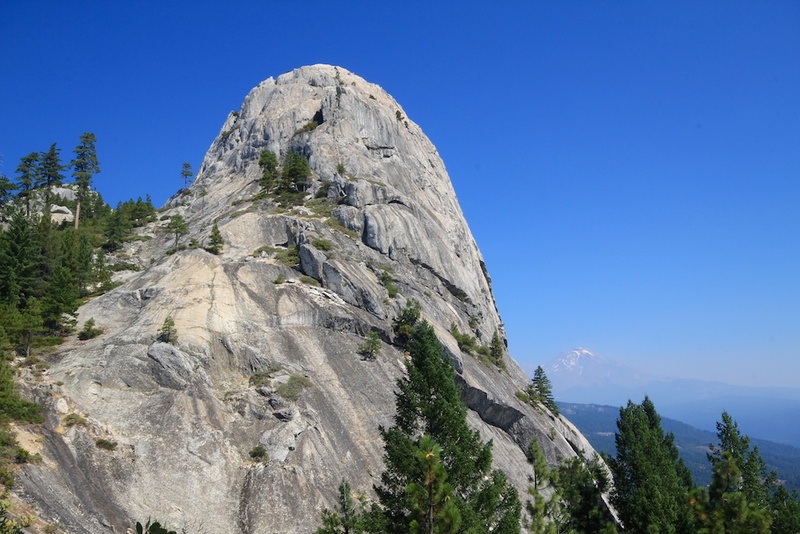 You will start in the forest, cross the PCT and then eventually end at the base of a massive granite dome. I would not attempt making it to the top of the dome without legit climbing gear though. The directions linked below are to backpack this trip since we went all the way to the Palisades Glacier, but you can just as easily hike to Second Lake and back in a day trip instead. The hike to Second Lake would be about 9-10 miles with 2,500 feet of elevation. 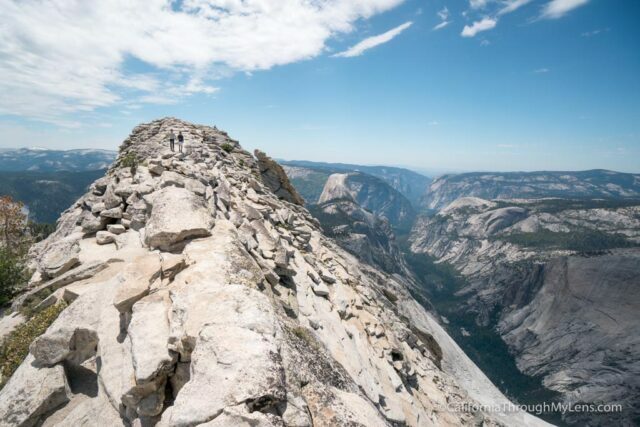 Clouds Rest is one of the best views in all of Yosemite National Park. It looks down on Half Dome from a vantage point 1,000 feet above it, and you can see the backcountry and the valley from up there. It’s a 13-mile hike with around 2,500 feet of elevation, so it is doable but still difficult. 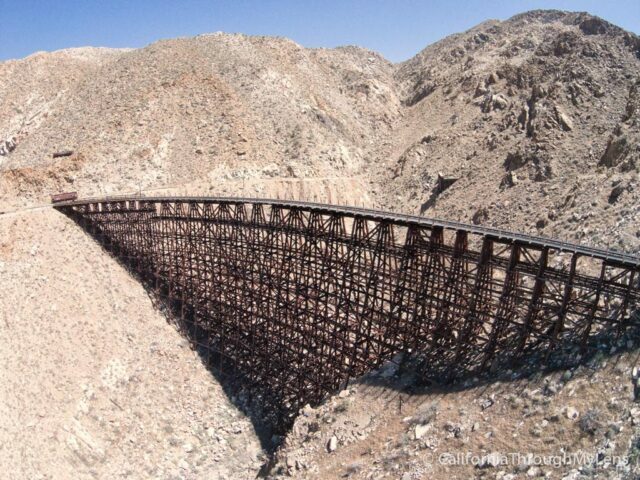 This hike takes you up and over two passes and down a steep, scrambling section of mountains to drop you at the largest wooden trestle in the world. I know it sounds like I am making that up, but this hike indeed is epic in every sense of the word. It starts by offroading for 8 or so miles just to get to the trailhead then it is a grueling 6 miles round trip that is void of any shade and in the harsh heat of the California desert. Getting to the trestle is a fantastic reward, but make sure to remember that you have to make it all the way back out again too. This hike can either be relatively easy or pretty tricky depending on which of the multiple routes you take to the summit. The route I am referring to in this post is the ski trail route, and it is a grind fest to get to the top. 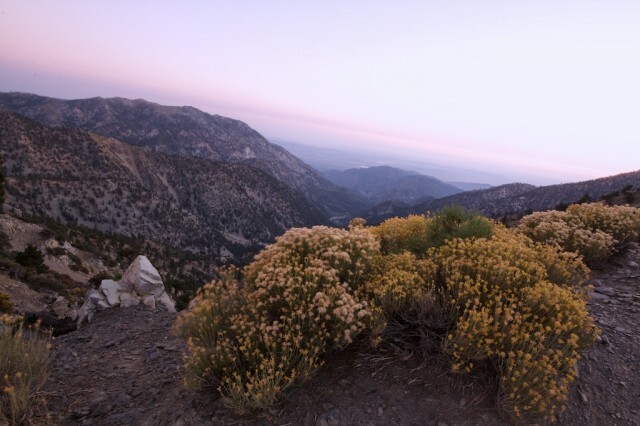 At 8 miles round trip and about 5,000 feet of elevation, it is one of the best hikes you can do to train in Southern California. Add to that a waterfall, old ski hut, and great views, and you will feel like you accomplished something when you reach the 10,000-foot peak. At 14 miles round trip and 3,000 feet of elevation, this hike is a long and rewarding day hike. 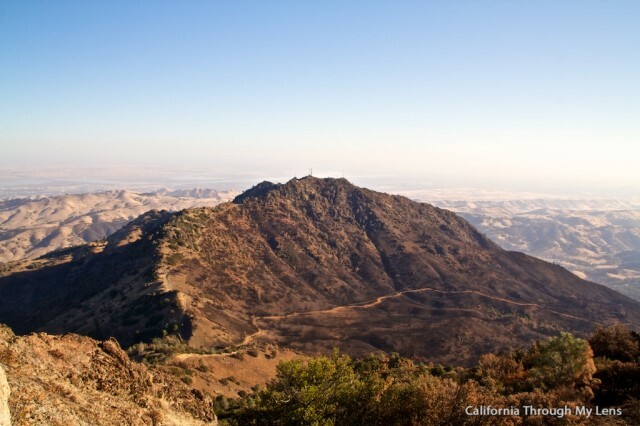 As one of the mountains with the most prominence in all of California, you can see all the way down to the lowest point in the United States when you are at the summit. Add to that a sketchy road just to get to the trailhead and you have a recipe for an adventure. 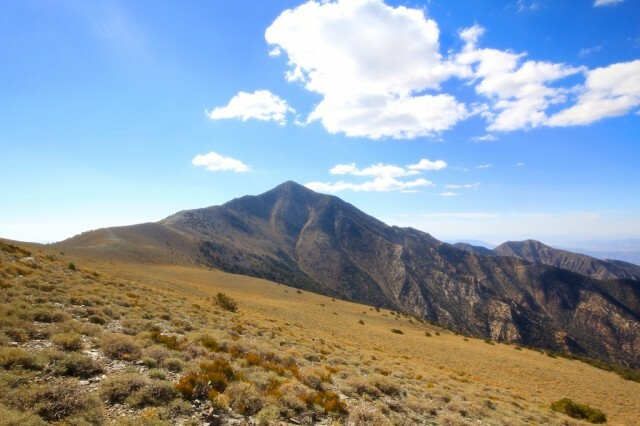 As the easiest 14,000 foot peak in California, White Mountain is pretty much a walk up and summit type peak. That makes it both attainable and an amazing training peak for more significant hikes. It is about 12 miles round trip and 2,500 feet of elevation gain, the sheer height you are at is what is hardest to overcome. I haven’t done it yet, but you can read about it on my friend’s site. 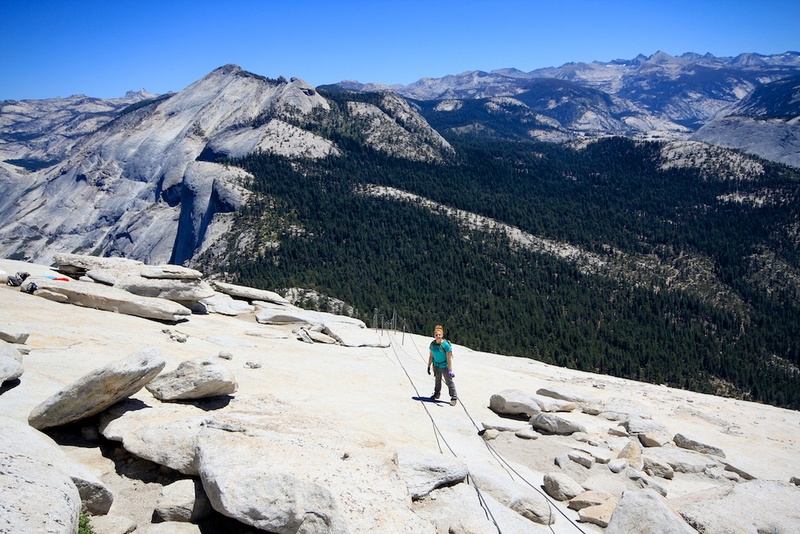 One of the most iconic California mountains, Half Dome, is known by people all over the world. This hike is not even remotely easy though at about 15 miles and 5,000 feet, especially to do it in only a day. The craziest part of the hike is after 7 miles you get to the base of the dome, and then you have to pull yourself up the cables to reach the summit. It is nuts but a fantastic feeling of accomplishment when you complete it. 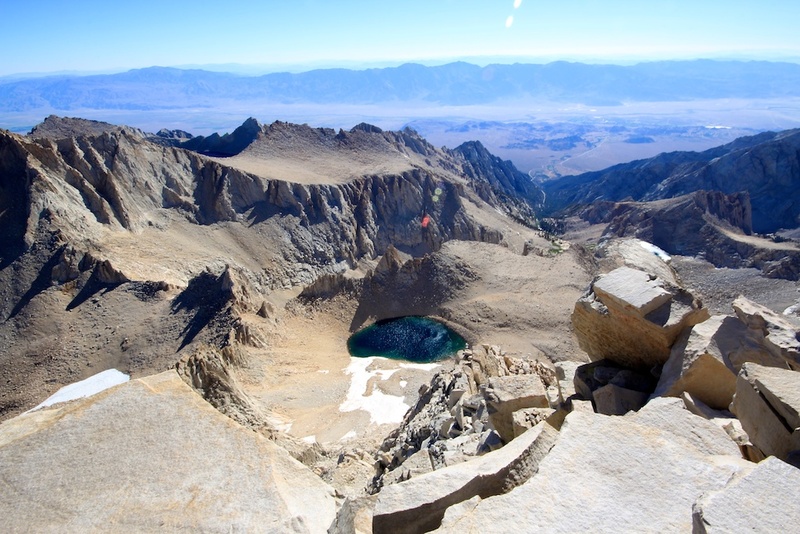 The iconic California summit of Mt Whitney attracts people from all over the world, especially since it is the tallest mountain in the contiguous United States. It is a push to do in a day, but people do it during the entire summer when the hiking permits are available, and it is around 21 miles and 6,000 feet of elevation gain, so it is no small feat. So now is your turn to chime in and let me know what you think I left off. 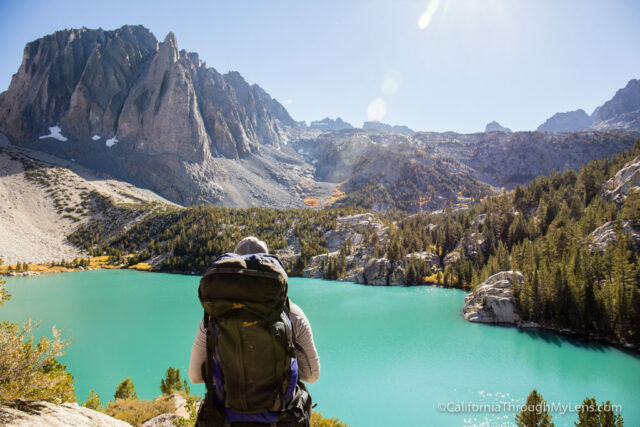 What are your favorite day hikes in California?